Kathy Caprino of forbes.com talks with Chris White–Managing Director of the Center for Positive Organizations–about some of the most important POS research and the best ways to build a positive organization. Chris offers six effective ways to get started on the path to positivity. 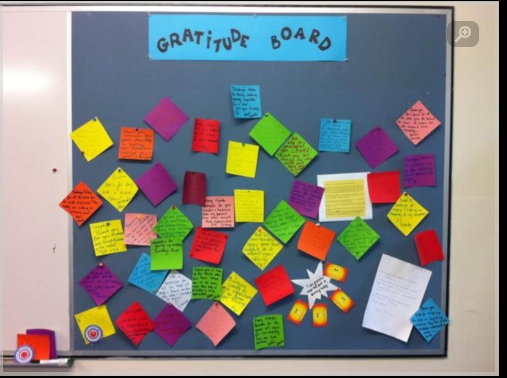 How would the educational experience be transformed—and transforming—if gratitude was part of the curriculum for students, and for training of teachers and administrators? Lea Waters is dedicated to providing the answers, as well as the resources, via her research on gratitude. Lea Waters is the director of the Centre for Positive Psychology in the School of Education at the University of Melbourne, and she recently visited the Center for Positive Organizations to share her research into the importance of gratitude to well-being, and how best to engender a culture of gratitude in schools. She presented her research to University of Michigan faculty members and doctoral students in a POS Research Incubator session, and gave presentations on early education curricula featuring gratitude to students in the Center for Positive Organizations +Lab. Would you like to reach out to others doing research on a particular topic? Do you have a data set that may be helpful to someone else? Email Janet Max at jmax@umich.edu to place an ad. Ruth Blatt quotes Jane Dutton on her work on high-quality connections in an article on musician Peter Himmelman and his Big Muse workshops, in which participants write songs about each other. The Center for Positive Organizations at the University of Michigan’s Stephen M. Ross School of Business, a world-class research center fostering the creation and growth of positive organizations, today announced that it has partnered with Humax Corporation, a leader in bringing the benefits of network science to individuals and organizations around the world. 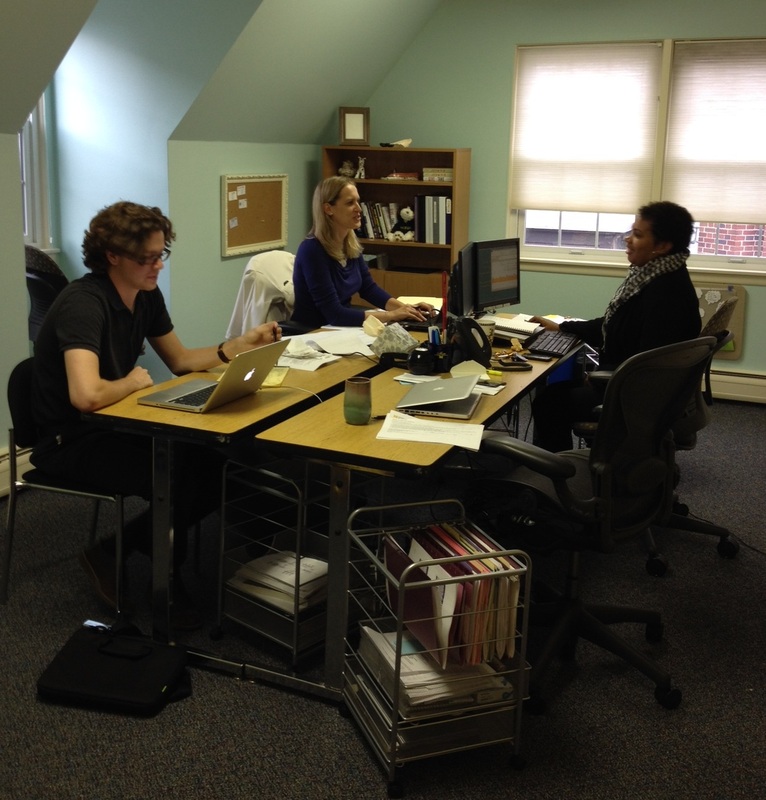 What do you envision as the ideal office work environment? What are important elements? When the Center for Positive Organizations moved into new office space last month, we were excited to implement some of the concepts that research in POS topics had shown to create great workplaces. 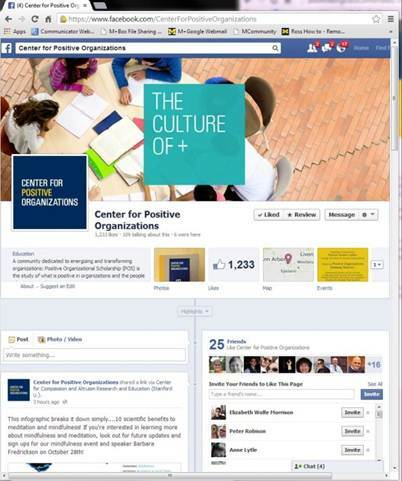 Welcome to the Center for Positive Organizations! We are excited to share with our community the news that we have changed our name from Center for Positive Organizational Scholarship to Center for Positive Organizations. The new name is a reflection of our aspiration to build on our foundation of rigorous, empirical research in the field of positive organizational scholarship (POS) and expand our impact through events, education programs, corporate partnerships, research-in-action teaching tools, and as the hub for information about POS. At the Center for Positive Organizations, our mission is to undertake and spread the science of building high-performing organizations that bring out the best in people. Article on measuring and encouraging employee happiness quotes Jane Dutton on the benefits to employees, and to society as a whole.